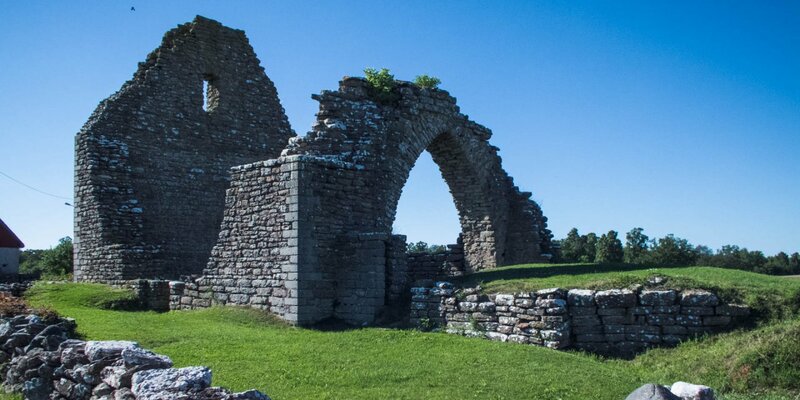 Källa Gamla Kyrka, also known as Källa Odekyrka, is the well-preserved ruis of a large 12th-century fortified church near Källahamn on the east coast of the island of Öland. The building of the former church Källa Gamla Kyrka consists of two floors and a high attic. The actual church was located on the ground floor while the floor above it served as a storage room. From the outside, the ruin is completely intact and still looks almost like it did 750 years ago. But the inside of the building is empty. The condition of the inner substance had deteriorated over the centuries and the medieval vaulted ceilings, pillars and partition walls were removed at the beginning of the 19th century. Today you can see the roof structure from the ground floor. The predecessor of today's church was an 11th-century wooden church, whose burned remains were found under the floor during an excavation in the 1970s. At the beginning of the 12th century, a five-storey defense tower was built next to the wooden church. 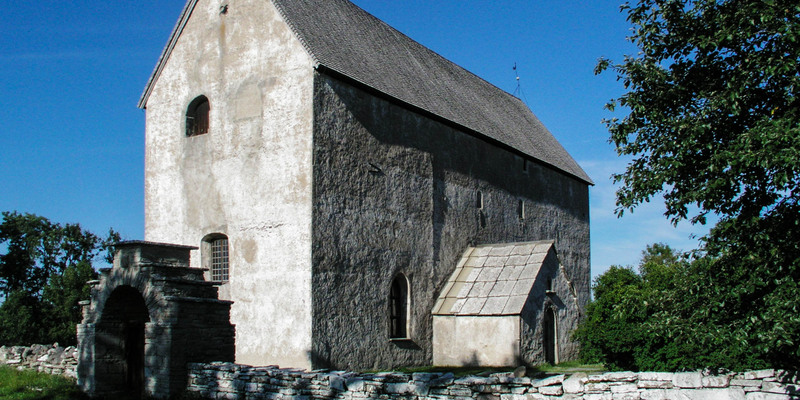 This tower was extended by the end of the 12th century with a long nave and a chancel and became a fortified church. 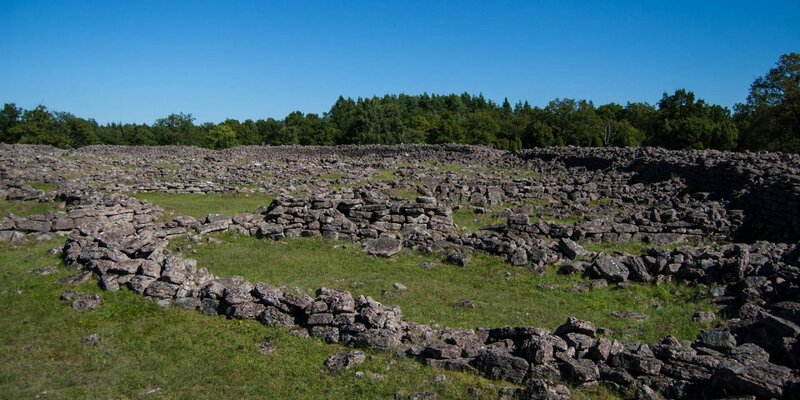 The masonry of the ruin consists of limestone and is constructed as a shell structure. 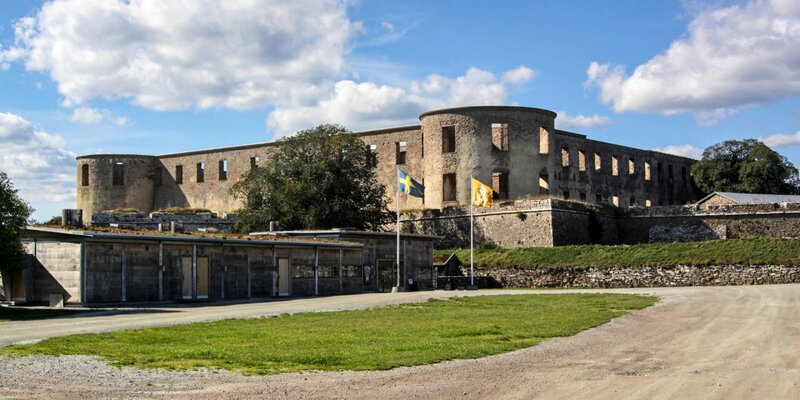 The entrance with porch, the so-called weaponhouse, is located on the south side, while the former sacristy is built at the eastern end of the north wall. The former defensive tower was demounted to the height of the other building parts. The old cemetery around the ruin is surrounded by a wide limestone wall. On the south and west sides are entrance portals decorated with stepped gables. In the north-east of the cemetery are remains of old buildings – maybe the remains of the former vicarage.